In this ‘Flashback Friday’ we revisit a curriculum initiative which gathered some juniors to support the school’s inquiry into literacy and writing. The school staff meet every Thursday morning for Professional Development, hence the late start for students. In 2013 the focus has been literacy and writing, and one of the aspect that the staff has explored is the AsTTle writing tool. This is where the writing ambassadors have come in. Several Y9 and Y10 students have volunteered their time to work on developing some student voice in and around the key areas of writing: vocabularly, spelling, ideas, sentence structure, punctuation, and organisation. They have worked in small groups extending their understanding of writing, and producing resources to help staff and other students understand the steps that one must take to improve their writing. These resources is what they presented to the staff. 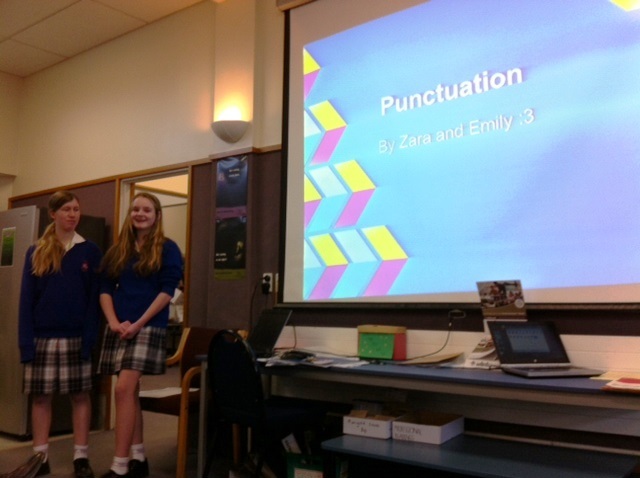 They produced a sensational punctuation poster that will be displayed around the school. Casey Norman and Safia Cole presented about spelling. They put a spelling mistake in each slide and the first staff member to spot it got a chocolate. 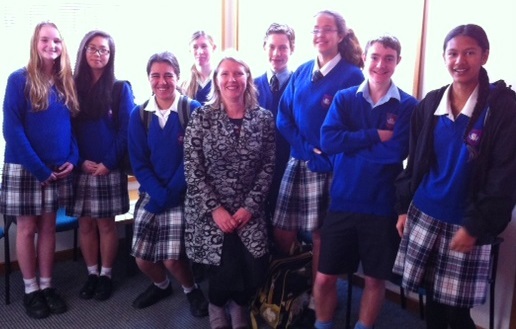 Congratulations to all the writing ambassadors (including those in Y10!). It was a stunning presentation, with the articulation of some many intricate aspects of writing the staff were left very impressed, and very informed. This entry was posted in Extra-Curricular, Student Voice and tagged asTTle, ideas, Literacy, writing. Bookmark the permalink.